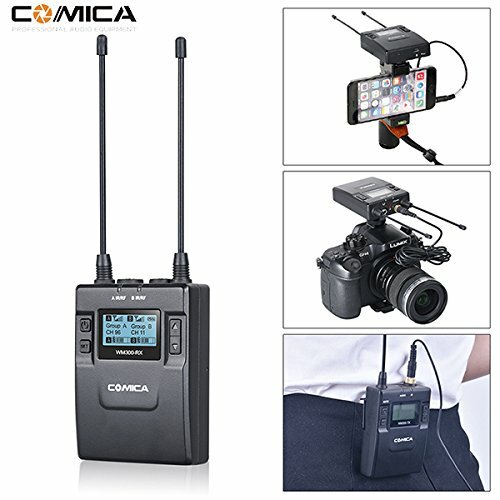 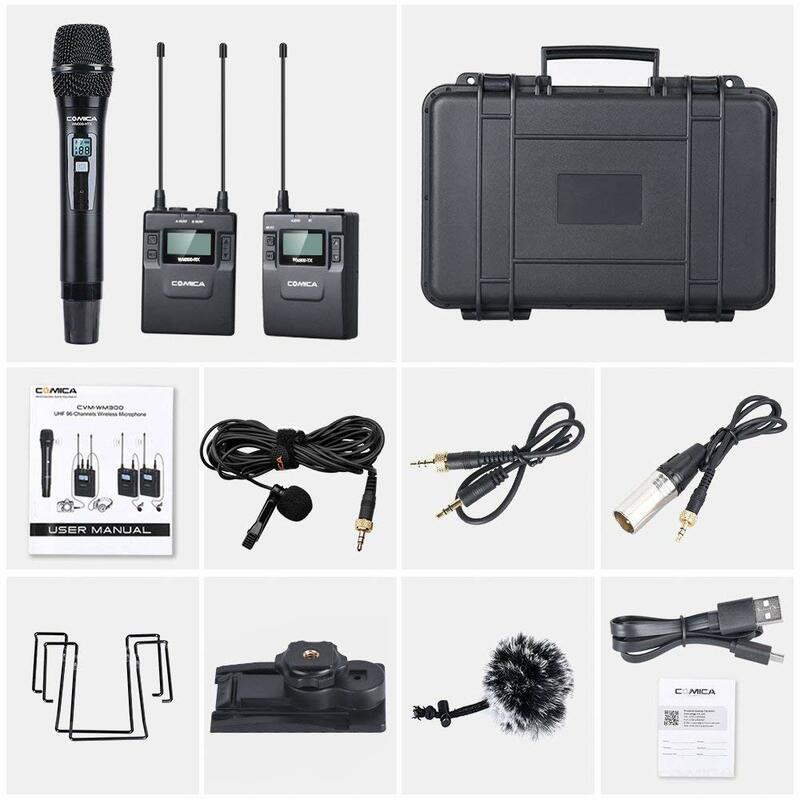 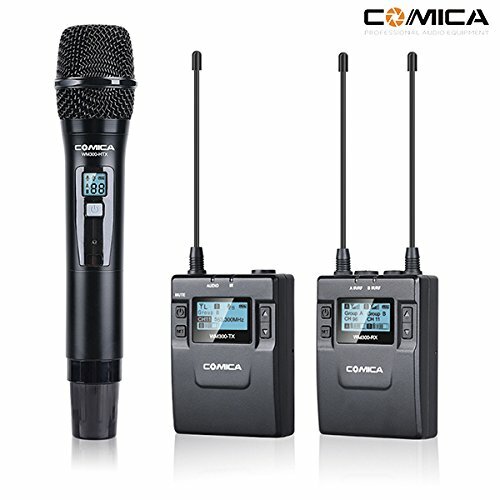 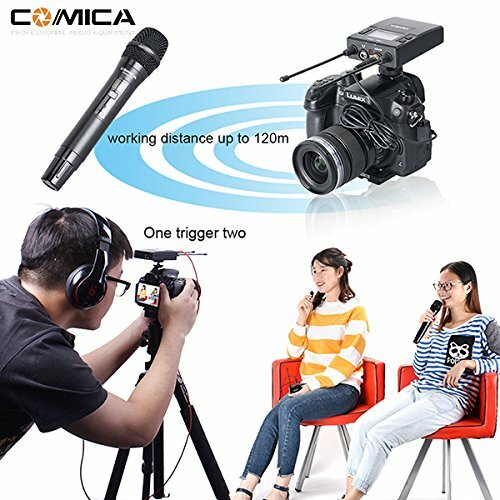 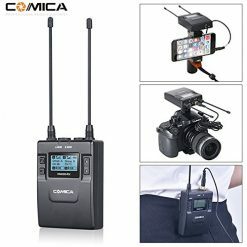 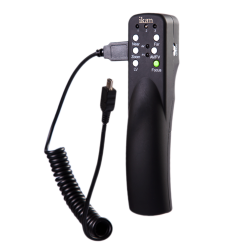 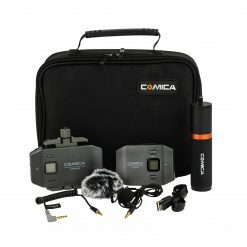 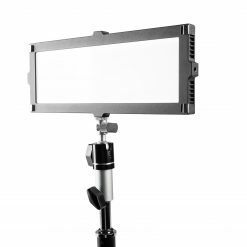 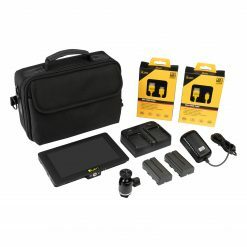 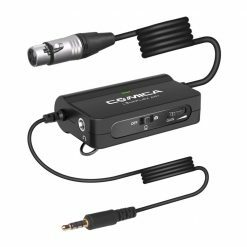 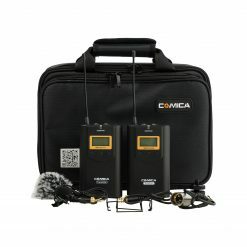 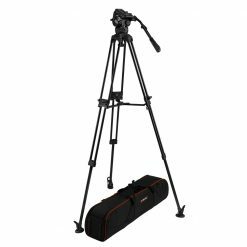 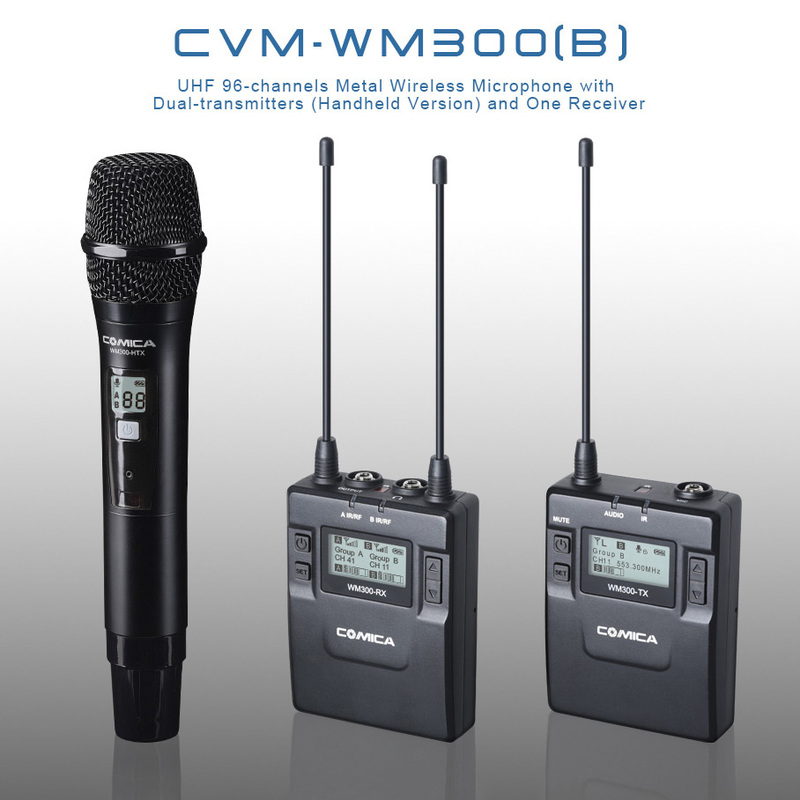 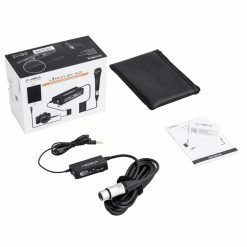 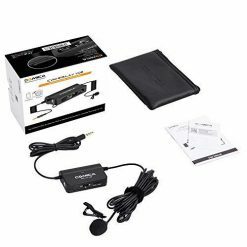 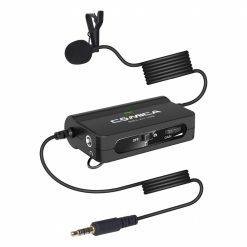 The CVM-300(B) Wireless lavalier and handheld microphone system can be used for multiple devices working together. 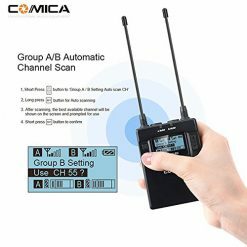 The adjustable RF signal strength or auto-scanning can be used for quick channel selection to A/B group. 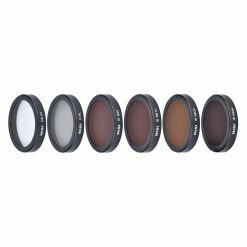 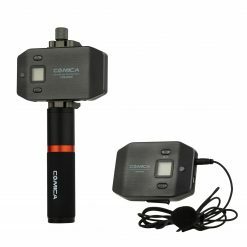 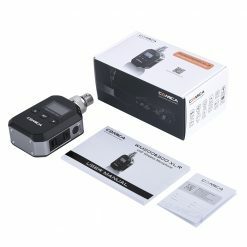 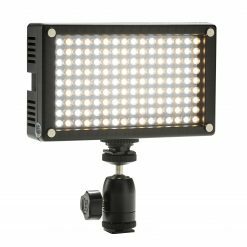 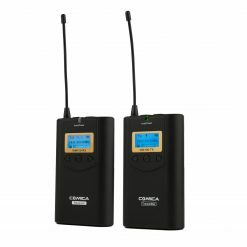 The wireless transmitter and receiver contain built-in rechargeable lithium batteries with a standby time up to 10 hours. 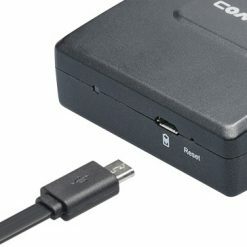 A MICRO USB input is located at the bottom and is conveniently for charging. 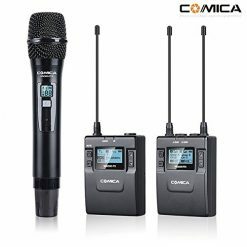 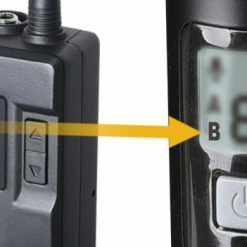 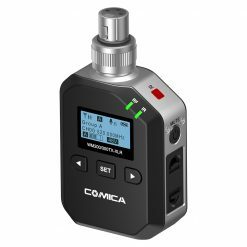 The handheld transmitter/microphone is powered by 2 AA batteries (not included). 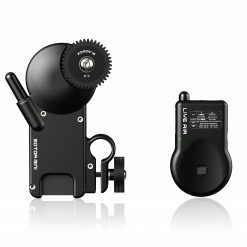 The working distance of the CVM-WM300B is up to 394 feet with direct line of sight and up to 263 feet without direct line of sight. 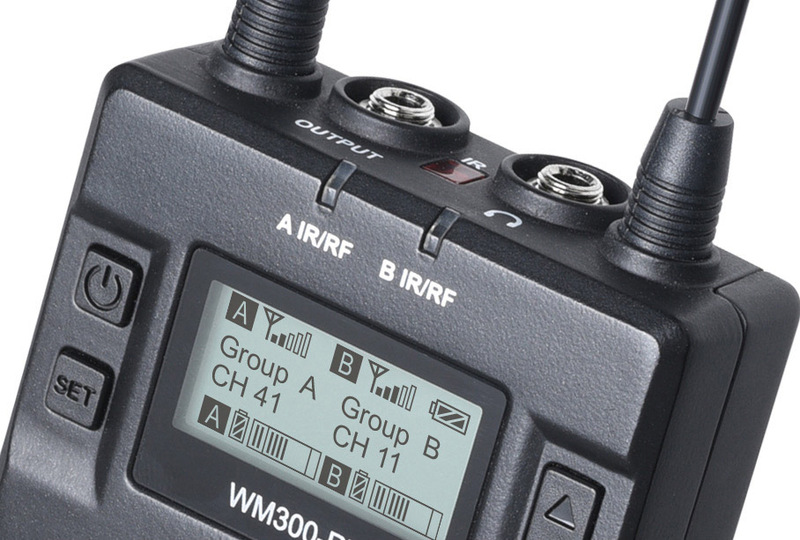 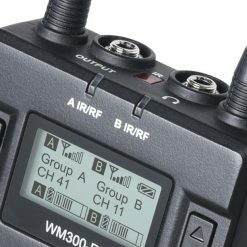 There are multiple ways in which the wireless system can be set up, such as one transmitter can be responsible for vocal pickup, and another transmitter can be responsible for the background music. 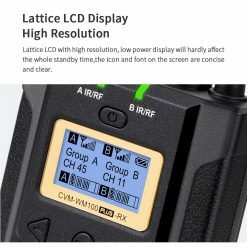 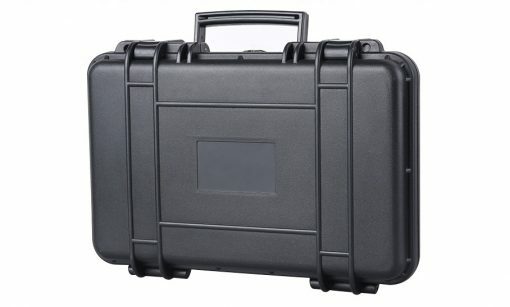 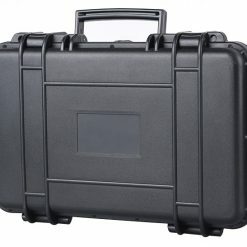 Dimensions: Transmitter: 3.3 x 2.5 x 0.9 in. 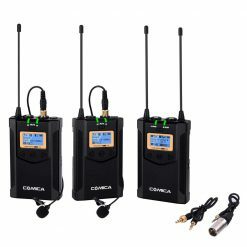 | Receiver: 3.3 x 2.5 x 0.9 in. 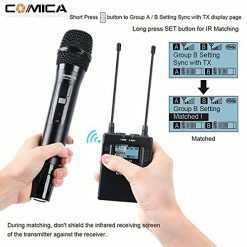 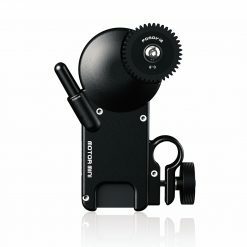 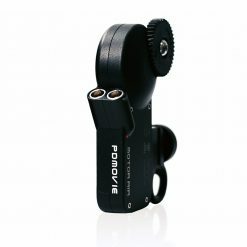 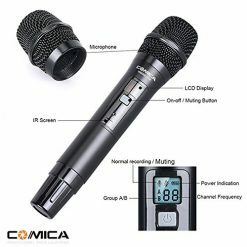 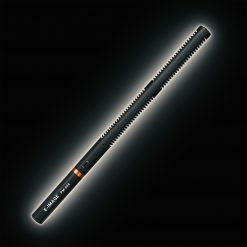 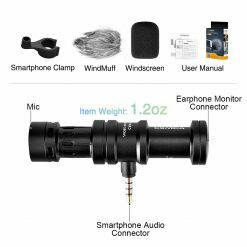 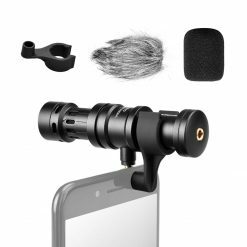 | Handheld Mic Transmitter: Max Diameter: 2.10 x 9.96 in.